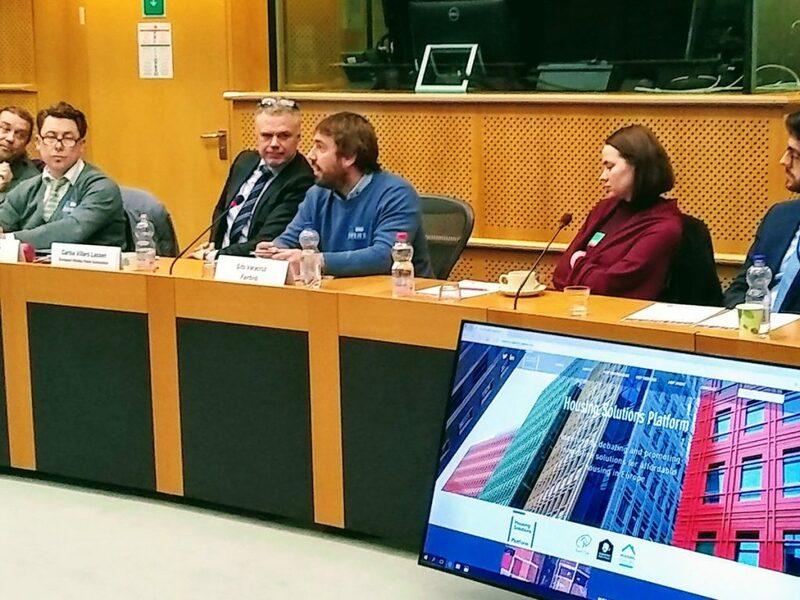 Exactly, Fairbnb was present at the EU Parliament! Our co-founderr Sito Veracruz participated in the debate ‘The Sharing Economy and Housing Affordability: What Impact, What Solutions?‘ together with representatives of some of the most relevant actors in the industry as Airbnb; Holiday Home Association (one of the biggest lobbies of the sector); City of Dublin; City of Barcelona; top data researchers with quite relevant works on the topic; and the City of Amsterdam, which representative was also in representation of the Federation of Cities Against Illegal Short-Term Rentals. The session started with a presentation by Davide Proserpio, professor of the University of South California, who has done one of the most extensive research to prove the effects of vacation rentals in the increase of housing stock, both for sell and long-term rents. 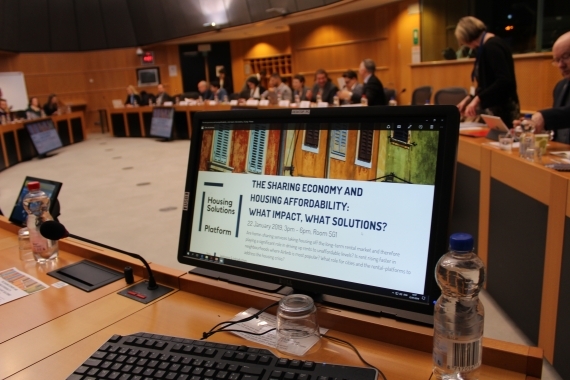 His conclusions, similar to those presented later by Professor Miguel Angel Garcia from Barcelona Autonoma University was positive in the sense that part of the housing price increase (around 20%) can caused directly by the activity of Airbnb and other platforms. These results were partially contested by Luis Falcon, CEO of InAtlas, who suggested that urban planning needs more and better data in general. Sergio Vinay, Public Head of Airbnb in Spain and Portugal had a quite classic Airbnb speech: “we are the only platform with 400 agreements with cities and other public institutions” , ”home sharing should be regulated better, because small owners are different and use it to pay the rent”, “we are already sharing data with Barcelona and other cities…(without mentioning they do because they were fined or a Court forced them to do it…”. The other interventions were more focused on the work that public administrations are currently doing related to this sector. Sergi Marí, head of Tourism Department in Barcelona, spoke about the situation in BCN; Dáithi Downey, Head of Housing Policy Research & Development of Dublin did the same about his city. And then it was our presentation which had a broad acceptance from the audience. (1) An increasing amount of research pieces are showing an effect of vacation rental in the prices of housing market. (2) Nevertheless, cities still need transactions data shared by the platforms in order to regulate and plan in the best possible way. This is a complex issue which needs to be treated attending to the local context, but there are already several use cases that are showing positive results – as Barcelona, San Francisco or Amsterdam. (3) Housing prices are not the only effect of vacation rentals. Post edited by Sito Veracruz. All the presentations, which were presented during the event HERE. The event is still available to watch on FEANTSA’s Facebook page. See more insights of the session on this Twitter thread. Do you like the “real” sharing economy too? There’s a lot you can do to help us.